George D. Chryssides studied philosophy and theology at the University of Glasgow, and gained his doctorate from the University of Oxford. He taught philosophy and religious studies at various British universities, and was Head of Religious Studies at the University of Wolverhampton, England from 2001 to 2008. He is currently Honorary Research Fellow at York St John University. He has published extensively, principally on new religious movements, and recent publications include The A to Z of Jehovah’s Witnesses (2009); Heaven’s Gate: Postmodernity and Popular Culture in a Suicide Group (2011); Christians in the Twenty-First Century (with Margaret Z. Wilkins, 2011); Historical Dictionary of New Religious Movements (2012) and Jehovah’s Witnesses: Continuity and Change (2016). He has co-edited (with Benjamin E. Zeller) The Bloomsbury Companion to New Religious Movements (2014), and is currently working on The Bloomsbury Handbook on Studying Christians, edited with Stephen E. Gregg. Stephen E. Gregg is Senior Lecturer in Religious Studies at the University of Wolverhampton, and Hon. Secretary of the British Association for the Study of Religions. He studied at the University of Wales, Lampeter, and has previously taught at the University of Wales, and Liverpool Hope University. His work focuses upon minority communities and muted voices in contemporary religion, and method and theory in the Study of Religion. Recent and in-press books include Jesus Beyond Christianity (Oxford University Press, 2010 with Gregory A. Barker) Engaging with Living Religion (Routledge, 2015 with Lynne Scholefield), A Universal Advaita: Swami Vivekananda and Non-Hindu Traditions (Routledge, forthcoming) and The Bloomsbury Handbook on Studying Christians (Bloomsbury, forthcoming with George D. Chryssides). Russell McCutcheon’s The Insider-Outsider Problem, written in 1999, tends to be regarded as the definitive work on the topic, and relatively little has been written since then. It has become apparent, however, that the distinction between “insiders” and “outsiders” is unduly simplistic, and that there exists a range of stakeholders in religious and spiritual movements with different positionings and testimonies requiring evaluation. This volume furthers the discussion of insider/outsider issues by commissioning a variety of new essays from an international group of scholars, discussing a number of points that stem from the different positionings of religious adherents as well as scholars. The questioning of these boundaries has many implications for numerous methodological issues in the study of religion, such as the emic/etic distinction, the distinction between religion and spirituality, the notions of “believing without belonging”, the claim to be “spiritual but not religious” and the existence of multiple, complicated, contesting religious identities. 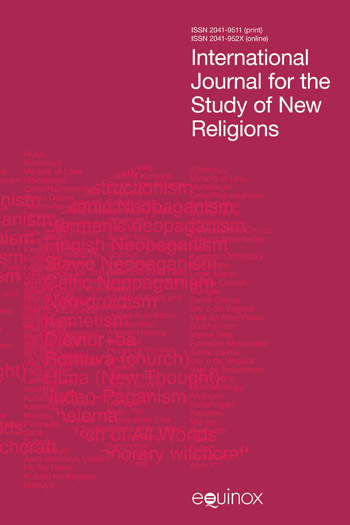 A particular focus of the volume will be in providing critiques of these methodological issues within the most recent academic approaches to religion – particularly models of lived and vernacular religion. Unlike McCutcheon’s volume, which is a collection of previously published essays, this proposed volume consists entirely of new material, drawn from an international range of scholars, spanning a variety of disciplines and approaches to the study, including ethnography, anthropology, theology and education. The book is accessible and readable, while remaining scholarly. It has become clear that binary notions of religious belonging, based upon narrow views of religion as a monolithic category of participation, are no longer tenable within the Study of Religion. Similarly, recent scholarship has emphasised a relational approach to engagement with religious communities and individuals, critiquing previous conceptions of scholastic objectivity and participation. However, much pedagogy and research about religion and religions still uses insider and outsider categories uncritically. As methodology within the study of religion – and particularly the study of everyday religion – has developed in the last decade, a more nuanced understanding of what it means to be an insider or outsider is needed. Indeed, this focus upon the performance of everyday religious lives must lead to a re-evaluation of ‘what religion is’, thus complicating issues of situation and approach to religion and religious communities. In so doing, we complicate the associated relationships religious practitioners and scholars have with these religious individuals and communities. Quite simply, when we re-negotiate ‘what religion is’ and ‘what religious people do’, with the subsequent challenging of sacred/profane dichotomies, we create a landscape where structured and restrictive notions of ‘insideness’ or ‘outsideness’ may no longer apply. If this is indeed the case, we need to re-focus upon performed everyday narratives and malleable, often complicated and contested, religious identities at the overlaps and edges between researchers, individuals and religious hierarchies, communities and worldviews. This chapter aims to provide context for the current debate, and suggest a new relational continuum approach to the inside/outside issue in the Study of Religion which is reflective of contemporary developments in methodology, focusing in particular on issues of lived religion. The author argues that the method encoded as ‘emics’ and ‘etics’ constitutes a theoretically stronger research instrument in the study of religion than the vague ontology of ‘insider’ and ‘outsider’, both because it yields more precise and tractable knowledge specifically about the research objects of the study of religion, and because it can be operationalised effectively across adjacent disciplines such as ethnography, social anthropology and history. Sutcliffe provides a detailed account of the origin of emic/etic in Kenneth Pike’s extrapolation from phonemic/phonetic in his work in linguistics in the 1950s and 1960s, its development in Marvin Harris’ cultural anthropology in the 1960s and 1970s and its application in the study of religion. The author provides a critique of the insider/outsider model on grounds of its implicit commitment to a politics of identity, contrasting with the cognitive or epistemic commitment of emics and etics. Drawing on Geertz’s distinction between ‘experience near’ and ‘experience distant’, it is argued that everyone is capable of rendering both emic and etic accounts of ‘what is going on’ – and of moving between them, thereby generating a potentially powerful translation effect. To be able to differentiate between emic and etic accounts of a phenomenon creates a simple and practical epistemological tool that fosters cross-cultural, comparative interpretation and encourages interdisciplinarity, especially across the human sciences. Although the chapter will be predominantly meta/theoretical in design, including the history of emic/etic scholarship, this chapter employs simple practical examples from the new age/holistic field, showing how the emics/etics of religion can be operationalised. Ron Geaves is currently Visiting Professor in the Department of History, Archaeology and Religion, based in the Centre of the Study of Muslims in Britain at Cardiff University, previously holding Chairs in Religious Studies at the University of Chester (2001-2007) and in the Comparative Study of Religion at Liverpool Hope University (2007-2013). Professor Geaves remains active in research. Usually, his research is contemporary in focus and involves ethnographic study, although recently he has embarked on the historical study of the Muslim presence in Britain. He has written and edited nineteen books and contributed to around twenty-five edited collections and numerous journal articles. His works include Sectarian Influences in Islam in Britain (1994), Sufis in Britain (2000), Islam and the West Post 9/11 (2004), Aspects of Islam (2005), Islam Today (2010), Islam in Victorian Britain: The Life and Times of Abdullah Quilliam (2010), Sufis of Britain (2014) and Islam and Britain: Muslim Mission in an Age of Empire (2017). He is currently working on Glastonbury and the Making of New Age Spirituality. The chapter explores how the insider/outsider dichotomy in the study of religions has become increasingly untenable as ‘objectivity’ was increasingly challenged by post-modernist theory, the advent of reflexivity and the collapse of primordial theories of identity construction as they were supplanted by newer understandings. On route, the author argues that the study of religion is uniquely placed to revolutionise both scientific methodological paradigms and the ethics of research that currently prevail in the social sciences. Marie W. Dallam is Associate Professor of American Religion and Culture at the University of Oklahoma Honors College. Her publications include Cowboy Christians (2018), Daddy Grace: A Celebrity Preacher and His House of Prayer (2007), and the co-edited volume Religion, Food, and Eating in North America (2014). She is also co-general editor of Nova Religio: The Journal of Alternative and Emergent Religions. This essay explores ethical issues scholars may confront when doing field research on religious groups. In recent decades, institutional review boards and professional associations of many fields have sought increasing amounts of control over research procedures, with a goal of protecting research subjects from harm (either intentional or unintentional). In some cases, this results in carefully thought out researchers’ plans because of the increased oversight, but in many cases, such preparations cannot anticipate the unpredictable realities of the field, and find that no viable choice feels precisely ‘right’. The author discusses a range of potential ethical situations involving fieldwork on religious communities. It specifically examines past examples from scholars who felt there were no clear ‘right’ and ‘wrong’ answers, only a range of choices with varying consequences. In some cases, scholars have been pleased with their chosen course of action, while in others they have regrets. Exploring the puzzles of these examples makes it all the more clear that sometimes we only have a vast grey area of behaviour to choose from, and calling a given decision ‘ethical’ or ‘unethical’ is a matter of political justification. Research examples include covert and overt research, researcher relationships with subjects, participation in religious ceremonies, and disclosure of sensitive material. Nina Hoel is Associate Professor in Religion and Society at the Faculty of Theology, University of Oslo, Norway. Her work uses feminist theory and methodology in the study of lived religion. She writes on issues pertaining to religion, bodies and sexualities and has conducted extensive research in the field of Islam, gender and sexuality in South Africa, using anthropological approaches as her main method. She is widely published in, amongst other journals, Journal of Feminist Studies in Religion, Fieldwork in Religion, Journal for Islamic Studies and Journal for the Study of Religion. This chapter proposes a nuanced and self-reflexive ethnographic approach to the study of (lived) religion. Critically unsettling and disrupting the insider/outsider binary by bringing in methodological insights from feminist theory and ethnographic accounts in the study of religion, it is argued that encounters between researcher and participant are constituted and animated by multiple and fluid positionings. By foregrounding a researcher’s commitment to take the body seriously and, relatedly, to take relationalities seriously, the chapter not only moves beyond the insider/outsider binary but also introduces the importance of paying increasing attention to the embodied self. The author outlines the various ways in which the body of the researcher is an invaluable and composite enfleshed ‘lens’ through which to understand, analyse and theorise about lived religion. As the locus of experience, the body is a vessel that carries with it multifaceted histories and dreams and ‘interferes’, ‘responds’ and ‘acts’ through its very being in the field. Hoel complicates the notion of an embodied approach by highlighting the relational aspects of ethnographic research. Foregrounding relationality as a conceptual portal through which to analyse the dynamics between researcher and participant, the chapter problematises notions of detachment and non-involvement. By shifting the gaze from the content of research to the process of research, and from the ‘object’ of research to the self, the chapter provides a much needed methodological contribution to the development of self-reflexive ethnographic approaches in the study of religion. Fiona Bowie is a Research Associate in the School of Anthropology and Museum Ethnography, Oxford. She studied anthropology at the universities of Durham and Oxford, specialising in the anthropology of religion, with regional interests in Cameroon, and Wales. Fiona has taught at several universities in the UK and overseas, including the University of Wales, Bristol University, and the University of Virginia, in areas related to religion, gender, spirituality, kinship, ethnography and the afterlife. She is widely published, including recent chapters in The Study of Religious Experience (Equinox, 2016), Talking with the Spirits: Ethnographies from between the Worlds (Daily Grail Publishing 2014) and The Cambridge Companion to Miracles (CUP, 2011). The boundaries between being an insider and an outsider in the study of religion are seldom clear-cut. This is in part because fieldwork or any type of qualitative research involves a process of increased knowledge, familiarity and, one might hope, acceptance by those being studied. This can be the case whether one is studying a group of which one was not initially a member (making the strange familiar) or negotiating new relationships as a researcher rather than just a member of a particular community (making the familiar strange). With any work with human subjects relations are dynamic and fluid, and the communities being studied are not necessarily coherent uniform entities. There will be degrees of membership according to one’s positionality, whether one is initially an insider or outsider. This chapter examines some of the ways in which fieldwork relationships are negotiated, and the blurred boundaries between the terms ‘insider’ and ‘outsider’. The author uses examples from her anthropological fieldwork with two communities in a number of settings: the Focolare Movement and the Bangwa people of Cameroon. The first setting is the Cameroonian ‘town’ of Fontem where the Focolare and Bangwa live as neighbours, and where the author has conducted long-term fieldwork. The other settings are the UK, Europe and the United States, where members of the Focolare and Bangwa also interact with one another, and with the researcher (separately and together). Bowie concludes that methodological approaches to studying religious communities based on dialogue, empathy and respect are similar whatever one’s status and relationship to those studied. Lynne Scholefield is Senior Research Fellow at St Mary’s University, Twickenham, where she was previously programme Director for Theology and Religious Studies. Lynne’s research interests focus around religious identity in Jewish, Christian and Muslim communities, including in converts between these traditions. Recent publications include – Engaging with Living Religion (Routledge, 2015 with Stephen E. Gregg), ‘Memories and translations in the stories told by converts to Catholicism and Islam’, DISKUS Vol 10 (2009) and ‘Bagels, schnitzel and McDonalds – ‘fuzzy frontiers’ of Jewish identity in an English Jewish secondary school’ in British Journal of Religious Education 26(3), 2004 p237-248. Feminist epistemology encourages us to practise ‘situated knowing’, an inter-subjective approach which, at its best, enables us to begin to know the ‘other’ without collapsing the differences between us. However, fieldwork with religious communities often demonstrates the challenging nature of this approach – religious ‘others’ are often rejected or punished for their ‘otherness or ‘outsideness’. The chapter examines this issue by reflecting upon participant observation undertaken with religious practitioners influenced by the work of Ken Wilber and others, who have sought to teach a contemplative form of higher consciousness which they believe reflects a harmony between the insights of religious worldviews and contemporary scientific research. This approach to contemplative consciousness is then applied to issues of religious conversion, building on the author’s previous work on the ‘fuzzy frontiers’ of religious identity during conversion narratives. In so doing, it is hoped that a model of engagement which values inter-subjective engagement with our chosen communities of study may be advocated – a reflective approach which encourages the researcher to ‘get on the edge of the inside’ of their ‘subjects’ of study. Rebecca Moore is Emerita Professor of Religious Studies at San Diego State University. She is currently Reviews Editor for Nova Religio: The Journal of Alternative and Emergent Religions, published by University of California Press. Her most recent book is Beyond Brainwashing: Perspectives on Cultic Violence (Cambridge University Press 2018). Participant-observers, perhaps more than external observers, have an existential interest in getting things “right.” While outsiders might think this requires glossing over inconvenient truths, the insider feels compelled to present and interpret problems in a way that makes sense from both the emic and etic perspectives. Yet it is impossible to remain in the liminal place between full involvement and complete neutrality. As Max Weber observes, the “middle way” is neither objective nor scientific, especially when the objects of study become subjects in one’s own life. Rebecca’s involvement with the Peoples Temple began in 1978, when her sisters and nephew died in Jonestown, Guyana. Her observations of the group began, therefore, when the group and its surviving members were in crisis. In the early days, I portrayed them as a sympathetic would-be participant. Over the years, however, she has become paradoxically more critical of, and more compassionate toward, the members of Peoples Temple, the living and the dead. Does adopting a critical stance make one more neutral? Or more partisan? Weber’s essays on objectivity in social science and on ethical neutrality have helped to answer these questions about her own role as a participant-observer of the processes that led to the tragic events in Jonestown along with the ongoing repercussions experienced by survivors today. Tom Wilson was awarded his PhD from Liverpool Hope University in 2014. He is an Anglican Clergyman, and the reviews editor for Anvil, the Anglican journal of theology and mission. His recent publications include ‘Honour and Shame in a Church of England Primary School’ for Journal of Education & Christian Belief (2014) and Hospitality and Translation: An Exploration of how Muslim pupils translate their faith in the context of an Anglican Primary School (Cambridge Scholars Press, 2015). Between 2010 and 2012, I spent two academic years conducting fieldwork that examined the experiences of Muslim children in an Anglican Primary School. I was not only a researcher in the school, but also chair of governors and curate (assistant minister) at the local Anglican Church, which was closely connected to that school. My position as a researcher was therefore quite complex. The chapter first outline my initial involvement with my research site and the nature of the fieldwork. Second, the question of researcher identity is explored in detail. Problems with the binary insider/outsider category are discussed, and the complexity of my own identity within the fieldsite is examined. 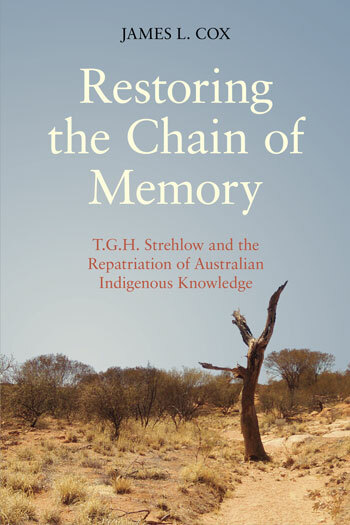 I argue in favour of a holistic understanding of researcher identity and the importance of foregrounding the most relevant aspects of personal identity in order to establish a researcher’s position within the fieldsite. The example of my own Christian faith researching amongst Muslims illustrates the point. The third section examines three issues of researcher positionality, namely how truthful, how forthright and how static the researcher should be. The issue of lying in order to progress research is critiqued and the value of honesty about failure to gain access commended. The question of truthfulness is given greater nuance with a discussion of how forthright a researcher should be. This includes a number of examples from my fieldwork, treating issues of honour and shame, doctrinal disagreement and the discrepancy between lived and doctrinal faith. In the discussion of how static one should be, I reflect on how my fieldwork impacted my own understanding of both Islam and Christianity. The central argument of the chapter is in favour of honest self-disclosure by researchers on their own position and the impact their research has had upon them. Naomi Thurston holds a Ph.D. in Religious Studies from the University of Wales Trinity Saint David (2015). She is a postdoctoral research fellow at the Yuelu Academy of Hunan University, China, and the author of Studying Christianity in China: Constructions of an Emerging Discourse (Brill, 2018). In the 1990s, a network of Chinese academics began developing what they termed Chinese-language theology (mediated in the Chinese language), born out of and addressing the contemporary “Chinese life experience.” These scholars, though mostly not confessing Christians, became known as “Cultural Christians” for their emphasis on the study of Christian culture, researchers who aligned themselves with theological discourse that was purposefully anchored outside the church and who largely published their philosophical reflections on theology from atheist or agnostic interpretive positions: not, as might be assumed, to promote Marxist or other ideological readings but because their own intellectual pursuits and, in several cases, their personal existential searches had led them to theological inquiry. For a time the label stuck, and traditional theologians in the Chinese-speaking world, many of them in Hong Kong, voiced their opinions on doing theology “extra ecclesiam.” Although much of the confessional “insider-outsider” debate was imported into academic settings, the discussion resurfaces even today: Will a theology be rejected by believers if its proponents deliberately position themselves outside Christian faith traditions? Can theology be constructed by scholars whose personal attitudes toward faith are “neutral,” unsettled or simply unknown? This chapter is based on qualitative fieldwork among “Sino-Christian scholars,” whom the author began interviewing in 2011, explores the nexus between scholarly inquiry, cross-disciplinary negotiation and religious belonging. Finding that insider-outsider categorizations are generally understood to exist with regard to religious belonging even among those within one intellectual field of discourse, Thurston examines how, when and why these are being reinterpreted, upheld or wholly called into question. Stephen Jacobs is Senior Lecturer in Media, Religion and Culture at the University of Wolverhampton. Specialising in Indian traditions and Religion and Mass Media communication, his recent publications include Hinduism Today (Bloomsbury, 2010), ‘Simulating the Apocalypse: Theology and Structure of the Left Behind Games’ Online’ in Heidelberg Journal of Religion and the Internet (2015) and Art of Living: Spirituality and Wellbeing in the Global Context (Ashgate, 2015). This contribution is a reflection on the author’s experiences of undertaking ethnographic fieldwork in religious communities in which he might be considered as an ‘outsider’ trying to understand the ‘insider’s’ world. The specific stimuli for this paper were brief encounters I had with two Hindu gurus: Swami Divyananda Saraswati ‒ the head of a traditional Hindu lineage ‒ and Sri Sri Ravi Shankar ‒ the head of Art of Living a global meditation movement. The chapter is a response to Pierre Bourdieu’s call in Outline of a Theory of Practice that anthropological research requires a ‘double break’, which involves not only investigating the other, but also interrogating one’s own presuppositions as a researcher. The recognition that all research is situated suggests that it is not possible to produce neutral objectives accounts of the lives of others. Ethnographic research is a relational encounter. The researcher’s encounters with these two gurus were framed by his own background and presuppositions, the cognitive world of the gurus and the specific context of these encounters. Consequently, it could be argued that there are multiple insiders and outsiders. Different encounters produce different accounts. Furthermore, as ethnographic research can be characterised as a particular encounter between researcher and researched at a particular time and place, those participating in that encounter, in this case the researcher and the guru, could be considered as insiders and those not involved in the encounter could be considered as outsiders. This understanding of ethnographic research as specific encounters, defined by the interlocutors and the temporal and spatial context, does not invalidate the research, but knowledge and understanding is achieved through recognition of the specificity of encounters. Dan Cohn-Sherbok is an American rabbi and Professor Emeritus of Judaism at the University of Wales. He received a PhD from the University of Cambridge and an Honorary Doctorate of Divinity from the Hebrew Union College-Jewish Institute of Religion, New York. Dan is the author and editor of a number of books dealing with Israel including Israel: The History of an Idea; The Palestine-Israeli Conflict (with Dawoud El-Alami); Debating Israel and Palestine (with Mary Grey); The Politics of Apocalypse: The History and Influence of Christian Zionism; Introduction to Zionism and Israel: From Ideology to History; The Palestinian State: A Jewish Justification. He has also published several books of cartoons. Dan lives in Kensington (and Wales) with his wife Lavinia and his Burmese cat. He is frequently to be found drawing cartoons in his London club. Who is a Jew? The answer to this question may seem obvious. Surely Jews know who is an insider, and who is an outsider. Yet, the modern Jewish community is deeply divided over this question. According to traditional rabbinic law, a person is Jewish if he or she is the product of maternal descent. In other words a person is a Jew if that individual’s mother is Jewish, and she is Jewish if her mother is Jewish, and so on through the generations. In addition, it is also possible to become Jewish through an elaborate process of conversion. Hence according to the tradition there are two differing ways of determining who belongs to the fold. Yet in recent times, the Jewish Reform movement (which is the largest Jewish religious body world-wide) has decreed that a child whose father is Jewish is also Jewish as long as the child has performed timely acts of identification such as attendance at synagogue services or bar or bat mitzvah. Thus an individual is deemed to be Jewish if he or she is born either of a Jewish mother or father is Jewish. Not surprisingly Orthodox Judaism has rejected this new definition of Jewishness and regards a child of paternal descent as a non-Jew unless the mother is Jewish. Added to this confusion is the fact that there currently exist within the Jewish community a wide variety of movements with radically conflicting ideologies all claiming to be authentic interpretations of the tradition. This includes two movements, Reconstructionist Judaism and Humanistic Judaism, which are both non- theistic in orientation. The existence of Israel with millions of secular Jews who have rejected the cardinal tenets and practices of the faith further complicates the issue of who is an insider and who is not. This chapter seeks to explain the complex nature of Jewish life today and offers a new interpretation of Jewishness in the modern world. Lyndel Spence teaches International Global Studies at the University of Sydney. From 2008- 2010 Lyndel completed a Bachelor of International Global Studies at the University of Sydney, majoring in sociology and winning the Raewyn Connell Prize in Social Theory. She received her PhD, titled Breaking the Stained Glass Ceiling: Intersectionality and the Female Ordination Movement in the Roman Catholic Church in 2016. Her core research interests are religion, community, resistance, globalisation, social justice, human rights, identity and gender and she maintains a keen interest in both classical and contemporary social theory. Lyndel has collaborated on the creation of a new sociology textbook with Pearson Education Australia, and currently has several journal articles in the process of being published. She also has a dedication for social justice, and is currently the Secretary of the NSW Amnesty International Women’s Network. The female ordination movement within the Catholic Church is a dynamic and forceful example of the paradoxical binary of institutional oppression and individual liberation operating within the contemporary religious sphere, as it campaigns for a more inclusive and accountable Catholic Church. The members of this movement are thereby placed in a precarious condition of both being excluded from the institutional Catholic Church, and belonging to a renewed, yet institutionally unrecognised Catholic community. Drawing on feminist theology and a feminist epistemology, this chapter highlights the results of qualitative research conducted with members of this progressive religious movement, providing insight into their experiences of both repression and liberation. Further, through critical discourse analysis, this chapter explores the effectiveness of social media in connecting women across the world who are facing institutional religious repression and who are seeking support from likeminded faith believers. Social media are used by groups involved in the female ordination movement to subvert the dominant attitudes towards women within the Catholic Church and to provide an alternative form of religious expression for disaffected Catholic women. These groups are thereby able to mobilise women into a solidary international religious formation which empowers women who have experienced suppression or subjugation from the Roman Catholic Church. Katherine Rand, MPP is a PhD student in practical theology at the Claremont School of Theology, Claremont, CA (USA), with a focus on clinical spiritual care. Her research seeks to assist those working in clinical, educational, and congregational contexts to better support individuals shaped by more than one religious tradition. She rejects the a/theist binary and works to expand our scholarly understanding of individuals who have non-mainstream approaches to religion, including those who might be termed “spiritual-but-not-religious” and “nones.” In 2013 she received a research grant from the Henry Luce foundation to conduct qualitative research in Central Java, Indonesia, with individuals who have complex religious identities. Katherine identifies as religiously plural or as having a complex religious identity; more specifically, she would call herself a cultural Christian with a strong religious educational background in the Episcopal tradition, a person with secular commitments, and someone who has studied and practiced Buddhism in a number of forms/schools/countries for more than two decades. Existing, theological interpretations of complex religious identity ‒ that is, spiritual formation influenced by more than one religious tradition ‒ fail to consider fully the positive, integrative, and adaptive dimensions of this expression of spirituality. In this chapter the author presents findings from a qualitative study of Javanese individuals with complex religious identities, which challenge the assumption that people who draw from multiple religious traditions do not have spiritual depth because they take a cafeteria or bricolage approach to spirituality. The participants in this study are spiritually and intellectually independent, deeply committed to their spiritual life, and likely to have mystical conceptions of God. They must find ways to integrate these multiple religious traditions in an environment that, while religiously plural, still enforces singular religious identity. The study focused on two questions: (1) How do people with complex religious identity in Java, Indonesia, understand and explain their spirituality? (2) In what ways do people with complex religious identity respond to and navigate the norms and conventional interpretations of their traditions? These questions were engaged through two months of field research and in-depth interviews in and around the city of Yogyakarta in 2013. The study was informed by hermeneutic phenomenology, critical theory, and by the author’s primary disciplinary lens of pastoral theology, and used a grounded-theory approach to data analysis. Though the research conducted is particular to the Javanese context, the data suggest universal aspects of complex religious identity that deserve further study. Claire Miller Skriletz has an undergraduate degree from Drew University (2002) and a Master’s degree in Religious Studies from the University of Colorado Boulder (2012). Claire’s research interests are broad and multi-disciplinary, including gender and feminist studies of religion, religions in/of Japan, the ethnographic study of religious communities in the United States, and Buddhist communities in the West. Her MA thesis examined the insufficiency of existing theoretical models for the study of Buddhism in the United States, particularly as it applies to the Buddhist Churches of America. She has presented papers looking at gender and representation in The Book of Margery Kempe (Rocky Mountain-Great Plains Regional AAR 2013), and considering gender and ethics in the Dhammapada Commentary, a collection of early Buddhist morality tales (International Jain Conference, 2013). Her publications also include reviews of Reiko Ohnuma’s Ties That Bind: Maternal Imagery and Discourse in Indian Buddhism in Religion and Gender 4:1 (2014), and Joseph Cheah’s Race and Religion in American Buddhism: White Supremacy and Immigrant Adaptation in Nova Religio 18:1 (August 2014). This essay critiques the existing binary categories applied to Buddhist communities in the United States, those of ethnic and convert. First, a short evaluation of the term ethnic is offered, followed by an in-depth analysis of the prevalent models of categorization in use by scholars of Religious Studies and Buddhist Studies. As a result of the shortcomings of the available models, this essay offers a new model for researching and writing about Buddhist communities in the U.S., culturally-informed Buddhisms. The goals of the culturally-informed Buddhisms model are: first, to create an adaptable and specific methodology and terminology for scholars to use when researching communities; second, an approach which accounts for change over time and space; third, to seek an end to the essentialised scholarly assumptions regarding the ethnic and racial heritages of community members; and finally, to re-orient the discussion to a nuanced accounting of the various cultural strands that have influenced and shaped the diverse Buddhist communities thriving in the United States. These goals in turn question the notion of a monolithic, homogeneous ‘Buddhism,’ which is reflected in the author’s use of Buddhisms. Andrew P. Lynch teaches Sociology at the University of Sydney, Australia, and Education at the University of Western Sydney. His Ph.D. was awarded in 2010 for a dissertation titled Vatican II and the 1960s: Contesting Theories of Church Reform and the Impact of Modernity. He researches in the areas of the sociology of religion and social theory. Recent publications include Taylor and Politics: A Critical Introduction (2018, Edinburgh University Press with Craig Browne and Global Catholicism in the Twenty-first Century (2018, Springer). The current Synod on the Family which has been organised by Pope Francis and which is being held during the fiftieth anniversary of the Second Vatican Council (1962-1965), highlights the Catholic Church’s continued struggle for relevance in the modern world. The Synod was launched to address social issues such as contraception, homosexuality, divorce, and the myriad social pressures facing families in the early twenty-first century. It follows Pope Francis’ public marriage ceremonies of Catholics who had been hitherto cohabiting or who had children out of wedlock. The Pope has also made a number of public statements about homosexuality and sexuality that have created a stir in the Catholic and secular media. This chapter examines and analyses the Church’s continued struggle to be a universal institution in times of increased social mobility, multiculturalism and technological advancement. The chapter argues that a tension continues to exist in the post-conciliar Catholic Church about who is considered properly Catholic, and that since the election of Pope Francis a discourse has been revived which questions an insider/outsider distinction about ‘being Catholic.’ The chapter focuses on a range of theorists, including Marcel Gauchet, Charles Taylor, Robert Bellah, Grace Davie, and Jürgen Habermas, who have examined the situation of religion in modern, secular times. The work of these theorists is used to analyse how social change in the forms of modernity, postmodernity, secularisation and the post-secular, are presenting the Church with a range of challenges and opportunities for renegotiating the issue of belonging in modern Catholicism. Janet B. Eccles gained her PhD in 2010 in the sociology of religion as a mature student at Lancaster University, UK. She then spent 18 months as research associate on the Young Atheist Project, based at Lancaster. Currently she is a part-time adult education tutor in religious studies in Cumbria and an independent researcher. Her research interests cover women and religion, forms of non-religion, chaplaincy studies and, more recently, religion and social class and Anglican monasticism. She has published on women, Christian affiliation and disaffiliation, alternative spiritualities and forms of non-religion in the Journal of Contemporary Religion, Temenos and the Journal of Belief and Values, among others, and on multi-faith chaplaincy in the Journal for Pastoral Care and Counseling. She has a chapter Speaking Personally: Women Making Meaning through Subjectivised Belief in: A. Day (ed. ), Religion and the Individual: Belief, Practice, Identity (2008). In the closing chapter of their book: Gone for good? Church leaving and returning in the 21st century (2007) Francis and Richter suggest that one way back into a Christian community for discontented disaffiliates is to consider joining one perceived to be more in tune with their notion of what a good religious community should be. This chapter examines two groups of women who have ‘deconverted’ from one form of sacred community and commitment to another. Reflexive switchers join a different religious worshipping community from the one they have left, defecting from Anglicanism to the Religious Society of Friends, for example. Holistic switchers opt instead to join, in various guises, forms of spiritual and holistic activity but as Barbour (1994) makes clear deconversion does not involve a total loss of faith in what was left behind and deconversion is rarely complete. Hence, these women retain some elements of former beliefs, practices and belonging in the way they now live their new form of what has been recently termed ‘lived religio-spirituality’ (Aune, 2014). The chapter demonstrates that switchers are looking for – and often find – new freedoms to pursue what seems to them a more authentic expression of sacred commitment. This is not simply the pursuit of an individualised self-serving freedom, however, without regard for moral integrity and care of ‘the other’. Rather, this involves a process of negotiation between different commitments, religious, spiritual and secular, to arrive at a meaningful form of religio-spiritual life. The author’s own insider/outsider status forms part of the narrative in that she has also switched between various forms of sacred commitment at different stages in my own life. Aled J. Ll. Thomas is a PhD candidate at the Open University. His thesis focuses on the contemporary practice of auditing across a variety of Scientologies, particularly in the Free Zone. He also holds an MA from the University of Wales: Trinity Saint David, and has presented papers on his research at conferences in the USA, Belgium, and across the UK. Despite the intention of L. Ron Hubbard to initially establish Scientology as a practice conducted within his institution of the Church of Scientology (CoS), the past thirty years have demonstrated an increasing number of individuals, many of whom identify themselves as Scientologists, practicing Hubbard’s technology away from the church. Those that identify themselves as Scientologists with no involvement with the Church of Scientology, whether they practice Hubbard’s teachings as a part of a community or individually, are collectively known as the Free Zone. This divide has prompted heated disagreement within the Scientologist community with regard to conceptions of inside/outside and religious identity and belonging. The CoS does not consider those that practice Scientology away from the church to be Scientologists, while many Free Zone groups argue that their vision of Scientology possesses a greater relation to Hubbard’s original purpose for his technology. Yet, despite this contrast between the CoS and Free Zone, the distinction between those that practice Scientology in the Free Zone is more nuanced than it appears on face value. Individual Free Zone groups have emerged in recent years, creating clear distinctions between different types of Free Zone Scientologists. Similarly, clear identity markers between Dianetical practice and Scientology practice within the CoS, in addition to the hierarchical nature of Scientology teaching systems and membership, means that conceptions of religious belonging are contested and complicated not only between the Freezone/CoS but also within these identity labels. This chapter explores the tensions between the Church of Scientology and independent Scientologists, whilst considering how Scientology can be practiced in the ‘unregulated’ environment of the Free Zone. This will then be contextualised within Chryssides and Gregg’s ‘relational continuum of identity’ approach to the insider/outsider issue to produce a nuanced understanding of religious belonging and identity within Scientology/Scientologies. The ex-member is a distinctive type of outsider. Particularly in the study of new religious movements, the vociferous hostile ex-member tends to gain most atttention in the media and the anticult movement. Such members are sometimes referred to as ‘career apostates’, engaging in writing and being interviewed about their experience. In this chapter it is argued that the career apostate is only one type of ex-member among several, and the author explores how other types of ex-member have positioned themselves regarding the movements they have left. The chapter discusses the problems that can arise in leaving a new religion, and assesses the degree to which credence can be placed on ex-member testimony. The author concludes that, although some ‘career ex-members’ can often be considered as being so preoccupied with the organisation they have left to the extent that they remain virtually insiders, while other ex-members often provide valuable evidence about such organisations, particularly if they have aspired to offices that allow access to restricted information. Early scholarly studies of conversion and apostasy in new religious movements (NRMs) tended to draw clear boundaries between the pre- and post-conversion identity of those involved, and to presume that apostasy, ‘leaving the fold’, and de-conversion (all fairly clumsy terms for the experience of no longer belonging) were similarly unproblematic. Like much of the scholarship on NRMs, this model was drawn from studies of Christianity, yet never took on the theological weight that ‘conversion’ possessed in that context. Since the 1990s the study of conversion and apostasy has become more methodologically nuanced, and it has increasingly become clear that identifying who is an ‘insider’ and who is an ‘outsider’ is not only difficult, but often impossible, given that individuals and communities typically inhabit multiple roles and realities. This chapter considers two online communities of ‘ex-members’ with extensive web presences about the groups to which they once belonged. These are Kerista Commune (www.kerista.com) and the School of Economic Science Forums (www.ses-forums.org). It is argued that the people who constitute these communities are ‘ex-members’ in only one, strict, sense. Kerista disbanded in 1991, thus it is no longer possible to be a member; the Kerista Commune site is a place where members post memories and honour deceased members, with the aim of healing those who were injured by the group and of continuing mutually sustaining friendships between those who are at peace with the group. In stark contrast, the SES Forums site is largely populated by ex-members who perceive that they were harmed by the School of Economic Science (a Gurdjieff splinter group incorporating Vedantin teaching) which continues to exist. Although the mood and tone of the two online communities differs, the common theme encountered is that when people physically ‘leave’ new religions and spiritualities, they often remain deeply engaged with the group’s issues, and thus to identify as an ex-member and to find community with other ex-members is an almost infallible sign of being both inside and outside the group, paradoxically belonging without belonging.